She thought she had it all under control. 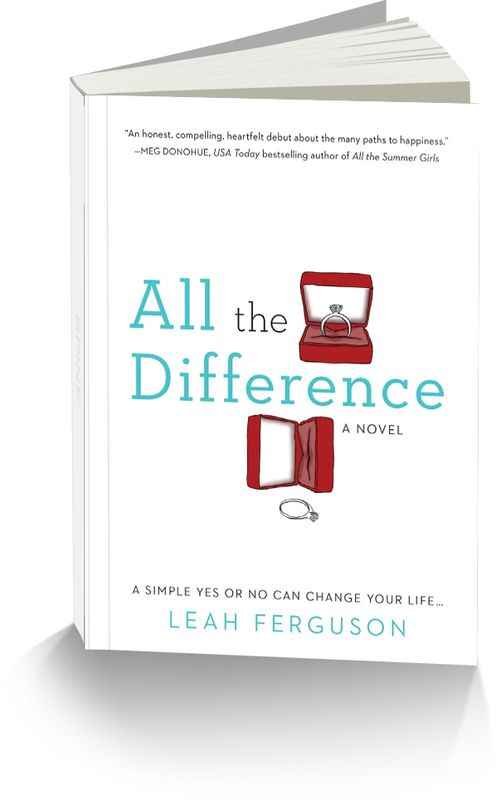 In Leah Ferguson’s debut novel, All the Difference, Molly Sullivan is a career-driven, 30-year-old Philadelphian who works really hard to keep everything in her life in perfect order. So when Molly discovers that she’s pregnant on New Year’s Eve–the same day her long-term boyfriend proposes marriage–she finds out all too suddenly that even the best plans can be torn apart in an instant. Molly is faced with a choice, and in alternating chapters, we follow her over the course of the next year to discover how her life changes if she says yes…or if she says no. Molly will discover that while she can’t pick the path she’s been given to walk, it’s up to her to decide how she’ll travel it. It all depends on whether she chooses courage to be her guide. All the Difference was published September 1, 2015 from Berkley Books, an imprint of Penguin Random House.